The water (in the purist water), is a substance that is essential to all known forms of life on our planet. Humans and animals have in their body 60-70% water. Water consists of hydrogen and oxygen. The maintenance of blood volume. Increases the number of calories our bodies burn in daily activities. Eliminates toxins of the body. It may help prevent stomach upsets can be caused by drugs in concentrated form. It moisturizes the skin leaving it smooth, soft and supple with fewer wrinkles. Also, the water gives the body more energy. Helps you lose weight. 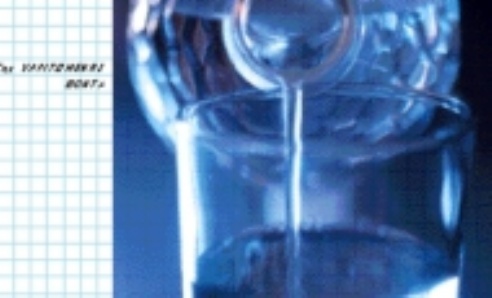 (The water Samarina was relevant to dieting as a low-salt and low in sodium). 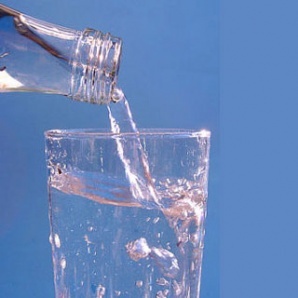 The natural mineral water differs from other waters (tap, table, etc.) for consumption, thanks to two key features: On the one hand is naturally rich in major salts and trace elements beneficial to our health and the other is pure, since the sources home is underground, and we ensure that it comes into contact with pollutants. Nevertheless, all natural mineral waters are not the same; from different sources have different recommendations as to the salts, minerals and nutrients they contain. For this reason, and their consumption is appropriate (or inappropriate), depending on the needs of your organization. The magnesium is an important mineral for bone growth, since the metabolism is linked to that of calcium. Apart from this, he takes part in other functions of the body, the metabolism of potassium, vitamin D, protein and glucose. Our body tends to store magnesium in bone and therefore it is rare to have a magnesium deficiency to an extent to cause serious problems (muscle disorders such as spasms, even seizures). But if someone does not get consistently small amounts of magnesium, it is likely to feel more easily tired, often happens to have cramps or nausea and anorexia. The recommended daily intake of magnesium for a healthy adult reaches 420 mg. You can find the right dosage for you by multiplying your weight in pounds by 6. Then add 10% if you are a man and remove 10% if you are a woman (eg, its appropriate dosage for a 65 kg man is 430 mg, while that for a woman weighing 350 mg). The overdose of magnesium has been shown to cause a health problem, but may have a laxative effect when the dose exceeds 3 grams daily. The calcium is valuable to the human body, because it is one of the key building blocks of bones and teeth. It also plays a role in the functioning of the muscular and nervous system. The lack of calcium is particularly evident at older ages. More attentive to adequate calcium intake should be women. Although their needs for calcium are the same as men, should increase calcium intake during menopause, so the risk of osteoporosis. A healthy adult needs about 1.000 mg of calcium daily, while women in menopause should increase their intake to 1.500 mg. Even though they take more calcium, no problem, because the body eliminates the unnecessary amount of the urine. The milk is definitely the most important and irreplaceable source of calcium intake, but you can get a significant quantity of water. Sodium is important for the organization, because it contributes to be maintained the acid-base balance (pH) and is a constant volume of fluid in the body. The lack of sodium is caused mainly due to profuse sweating (sodium excreted through sweat as sodium chloride) and can cause dizziness, nausea and vomiting, and affects the nervous system. The recommended amount should not exceed 500 mg sodium per day. However, the modern way of eating leads to over-consumption of sodium (particularly in the form of salt), thereby not only cover, but often exceed the recommended amount. The presence of sodium in water is usually very low; nonetheless, but those waters contain enough sodium should be avoided by hypertensive individuals, since the sodium overload is associated with increased blood pressure.